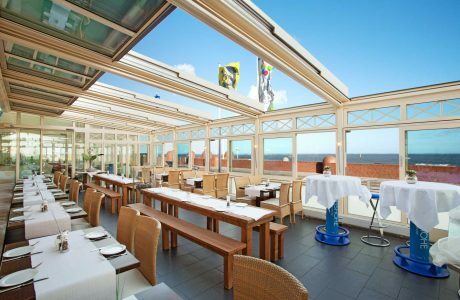 Our fully automatic OpenAir sliding roof makes it possible to sit outdoors protected from wind and weather. 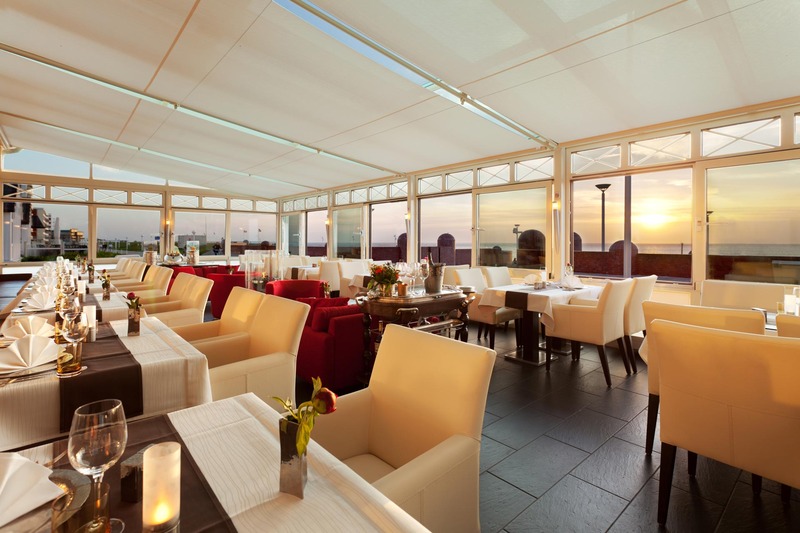 A carefree sunbathing pleasure is possible at any time. 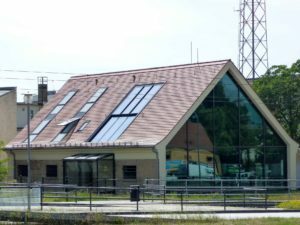 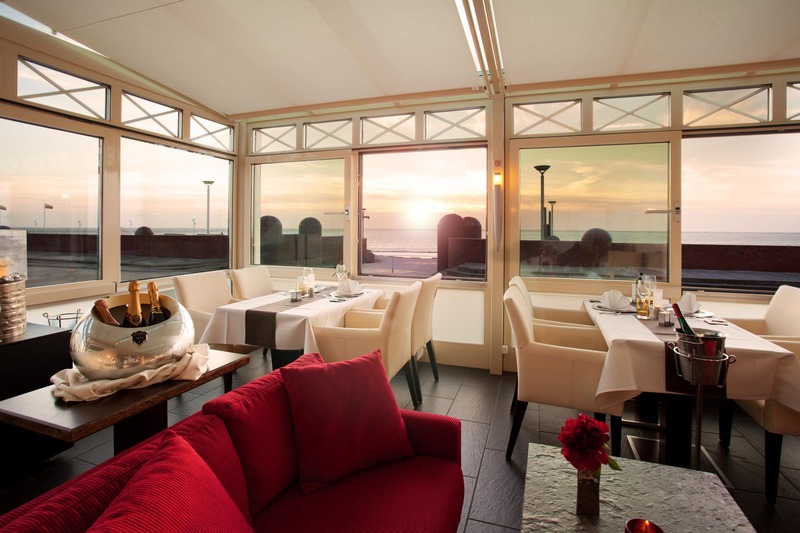 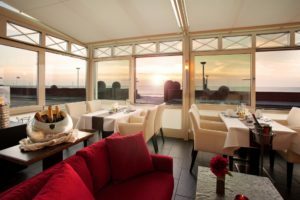 In the course of extensive conversion and renovation measures at the Strandhotel Georgshöhe on Norderney, a large extension of the guest area was created by a 14.20 x 6 meter conservatory in the restaurant area and the terrace roofing in the outdoor area for the catering of the guests. 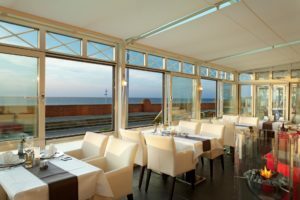 By opening the 5-part folding sliding door system, a seamless transition from the conservatory to the terrace area can be created. 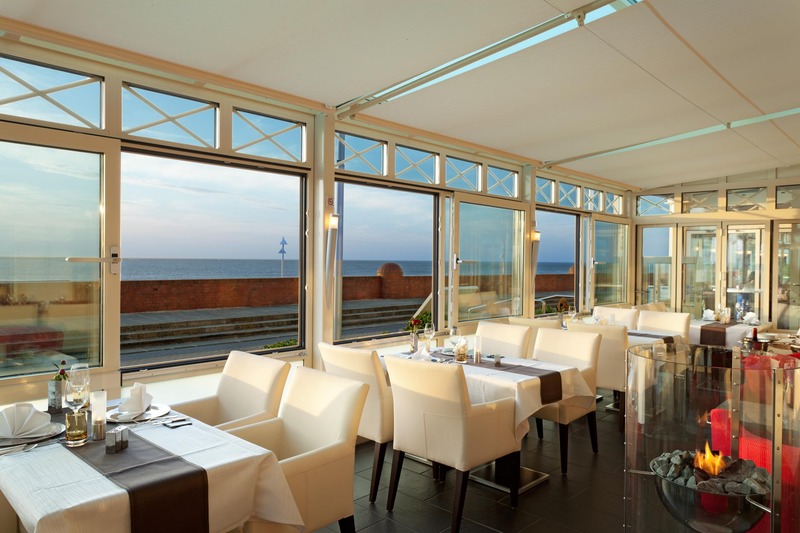 4-part OpenAir sliding roofs integrated in a guest room conservatory with a size of 12 x 6 meters. 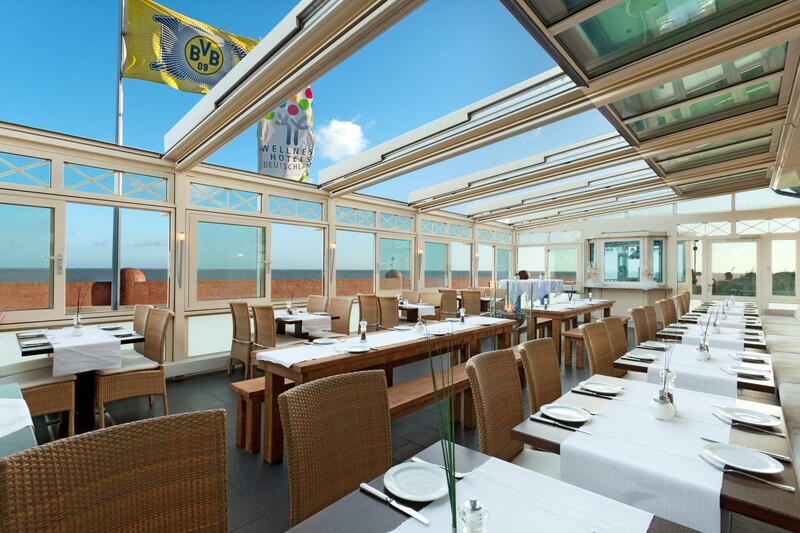 If required, the terrace area is protected by 4 large underglass awnings, each measuring 2.90 x 6 metres. 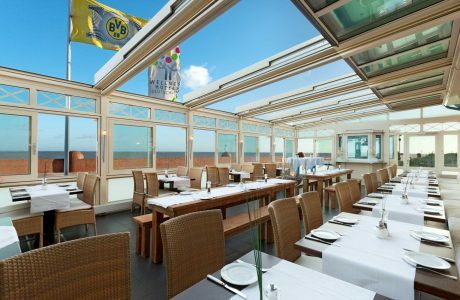 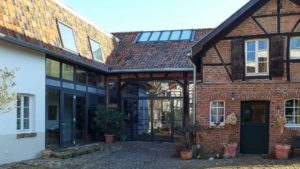 The company “moving-pictures GmbH” has published interactive tours with 360° panoramas of the Hotel Georgshöhe in Norderney. Among other things, the closed OpenAir sliding roof, the open OpenAir sliding roof and the exterior view of the OpenAir sliding roof are shown.